It's really interesting to see how just a simple change of his voice can really help Joseph Gordon Levitt (JGL for short) transform into the character of Edward Snowden. You can tell he probably did his homework on Snowden's mannerisms as he convincingly portrays the character as modest, conflicted, and full of conviction all at the same time. Gordon-Levitt was also able to project his character's own paranoia of the government's usage of technology to the extent that even the audience may think twice about their own phones and laptops. During some scenes, director Oliver Stone was able to convey the complexity of the government's high tech surveillance through the use of visual graphics. I think he was able to accomplish his goal of instilling a sense of terror when Stone shows how far the government's surveillance was capable of reaching. It was even more alarming to see how the government was using the collected information to achieve whatever goals they wanted to achieve. Another highlight that Stone portrays for audiences is a more in depth look at Edward Snowden and his personal life. While most people may be coming into the film only knowing about the media's portrayal of Snowden, we're given another perspective in how his long term girl friend played a role in his life as well. So at the end of it all, Stone's vision of Snowden definitely challenges the media portrayal of Snowden. The movie felt long, and drawn out. While it was nice to see the relationship with the girlfriend, I think there may have been one too many scenes that could've been condensed. The movie had some strong points where suspense and thrills could keep you engaged. However, those moments are too few and far between other scenes. Now I'm going to say that this my personal preference so you can take it or leave it; the other issue with this film is how one-sided the depiction was. 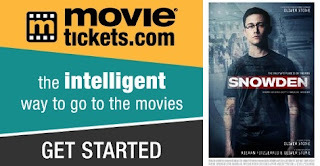 Coming into the movie, I was hoping to see a bit more of a balancing act when it came to learning about Snowden. 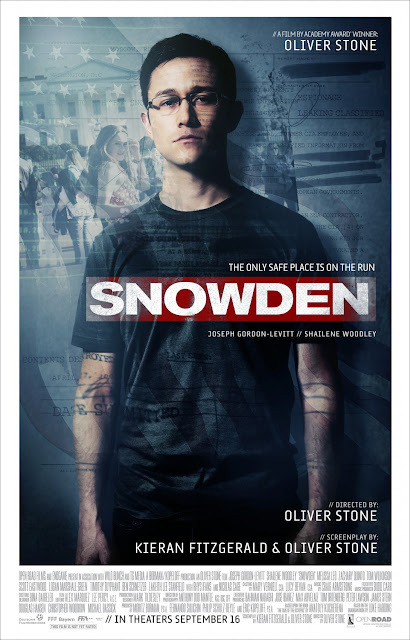 Oliver Stone doesn't really give us much to think about as he clearly paints Snowden in a biased way. I simply would have preferred if Stone had mixed it up a bit, and let audiences decide for themselves whether Snowden is a hero or not. Snowden could've easily been a bit of a "Tech Horror" film. There was more than enough material to scare you away from using technology. Instead it's more of a political docu-drama on a really interesting issue. If you may have been like myself and only loosely followed the story when it was developing a few years ago, this film may re-spark your interests. Given the length of the movie, and the slow pace of it, I can't say that it's ideal to watch in theaters. (Especially with this comfy reclining chairs.) It's good enough for a day time matinee, and maybe even better to watch with a friend to have a nice political debate. If you're still on the fence, re-watch the trailer and see if you're interested. If not, stay at home. One thing Snowden may do is to have you think twice about who you talk to and how you interact with social media.